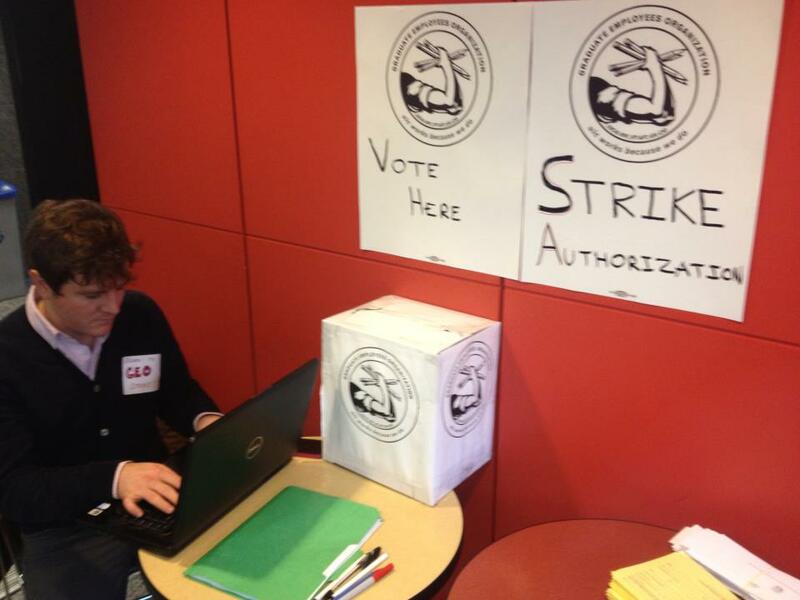 Last night at the General Membership Meeting, the GEO voted to begin a Strike Authorization Vote. If passed, the vote would authorize an elected Strike Committee to call for a strike of Teaching and Graduate Assistants at UIC. The vote was called after almost a year of contract negotiations with the University during which the GEO sought to address important issues such as wages, health care, tuition differentials, and fees—issues that have a direct impact on the viability of pursuing graduate education at UIC. We voted to proceed with the Strike Authorization Vote because the University has been unwilling to address our concerns regarding the disparity between the high cost of living in Chicago and the low wages graduate workers earn, and the unchecked tuition differentials that depress those wages even more. The GEO believes that all workers deserve a living wage. The University has the money to pay its workers a living wage. We reject the disproportionate increases in upper level administrators’ salaries while tuition and class sizes increase and wages and positions for maintenance, office staff, faculty, and graduate workers decrease. We reject the University’s attack on our democracy’s most precious resource—an equitable and accessible public education system. Our fight at UIC is connected to an attempt to halt the continued disinvestment of cities and citizens across the country carried out through an attack on workers and the vital public institutions for which they work. We are rising up in solidarity to demand equitable wages, access to affordable health care, and transparency in the administration of this public institution in order to make education accessible to all. We are proceeding with the Strike Authorization Vote because we believe that UIC can be more than it is—we are fighting for UIC, for what it can be. We are rising in solidarity with workers everywhere. 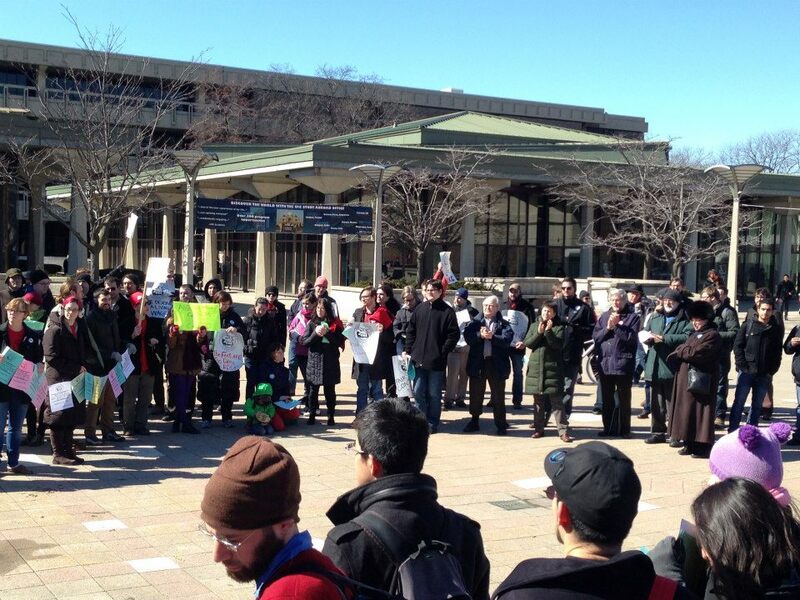 We are rising in solidarity for graduate workers at UIC and we demand a fair contract now! Chicago, IL- On Friday, April 5th, the 1,500 member Graduate Employee’s Organization at the University of Illinois at Chicago, a labor union representing graduate student employees at UIC, filed a notice of intent to strike with the Illinois Educational Labor Relations Board after ten months of acrimonious, sometimes explosive, bargaining. The nearly unanimous vote authorizing this move came after a packed meeting of the GEO’s general membership, in response to an inflammatory contract proposal by the administration that included provisions inhibiting GEO members from participating in labor demonstrations, and refusing to yield on the university’s practice of charging unlimited tuition differentials against student workers. Currently the graduate student workers at UIC, work for less than 15k dollars, annually, at a school where the average administrator earns a six figure salary. The GEO says that unless the administration resumes negotiations in earnest the 1,500 teaching and graduate assistants will strike, interrupting undergraduate classes across the campus. The GEO contract technically expired in August and since then the administration’s bargaining team has persistently cancelled meetings with the GEO, even after the GEO brought in a mediator to help facilitate good faith bargaining. Despite the higher costs of living in Chicago, most UIC graduate workers earn less in comparable pay than their counterparts at the Urbana Champaign campus, and significantly less than the 17k dollars that the UIC department of financial aid estimates is the minimum cost of living for graduate students in Chicago. Chicago— At 1:30pm on Wednesday, March 13th, the Graduate Employees’ Organization, a labor union representing graduate student employees at UIC, will hold their second rally in the UIC Quad as a response to the University’s continuous delay in negotiations and unfair contract proposals. At the beginning of the bargaining session on Thursday, March 7th, both parties agreed that the contract could be settled that day. The GEO has made significant movement on their position, an indication that they are serious about settling; the University has not reciprocated and has moved little from their original position. The University’s first proposal offered a mere $75 increase to the annual minimum income earned, but has refused to budge on important issues such as fees, tuition differentials, prescription drug benefits, or the No Strike clause. The University’s second proposal moved even less. The University has repeatedly stalled negotiations by being unavailable to meet regularly, canceling multiple sessions, and arriving unprepared when they do show up. And now, the University cancelled again, less than 24 hours after scheduling a bargaining session for Thursday, March 21. Graduate employees have become extremely frustrated with the University’s failure to meet them at the bargaining table. “Negotiation doesn’t work if you don’t talk. We can sit quietly and ignore each other once the contract is settled. Right now we need and we demand that the University meet with us before spring break to settle this contract”, says Edgar A. Bering IV, Teaching Assistant in Mathematics, Statistics, and Computer Science.